Rafting in Colorado on the Poudre River with A Wanderlust Adventure - A Wanderlust Adventure - White Water Rafting on the Poudre River - Make the Short Trip From Estes Park, Fort Collins, Boulder, or Denver, Colorado! Fort Collins and Estes Park Rafting on the Poudre River! Celebrating our 38th Season, A Wanderlust Adventure has entertained over 200,000 Estes Park vacationers offering fantastic whitewater rafting trips on the Cache La Poudre River. Locals call it the Poudre River, pronounced “Poo-der”. Our company provides super fun raft trips within an easy drive of Estes Park, Rocky Mountain National Park, Fort Collins, Boulder, Denver and Cheyenne. Choose from two exciting trips on Colorado's only National "Wild and Scenic" River. If you are looking for real outdoor adventure in Northern Colorado we highly recommend whitewater rafting on the Poudre River. A great reason to choose the Poudre River is because of strict regulations that it receives from Roosevelt National Forest. Because of this the Poudre River has less outfitters operating on it which makes it less crowded than other rivers in Colorado. We also have limits on the amount of guests we can take which adds to the overall experience of your trip. The scenery in the Poudre Canyon is exceptional and the almost continuous whitewater will provide excitement, thrills and lifelong memories that will be the highlight of your Colorado vacation! We offer mild to wild rafting trips that are great for families as well as adrenaline seekers. Our online reservations make it easy for you to book your trip. Whitewater rafting is a great team building activity and Wanderlust specializes in taking youth groups, church organizations and boy scouts. We can also set up a lunch for your large group before or after your rafting trip. Whitewater rafting is one of the top things to do in Estes Park and Fort Collins. Wanderlust boasts the best reviews on TripAdvisor, Google+ and Yelp. We employ the most professional guides on the Poudre River. Our guides average nine summers of experience and are hand-picked for their fun personalities and customer service skills. Wanderlust also uses newer equipment including state of the art NRS self-bailing rafts with foot cups, first aid kits and grab lines. We provide the free use of fleece pullovers and water proof paddle jackets to help keep our guests warm. Our company also has wetsuit and insulated wetshoe rentals that are washed after every trip. Before or after your rafting trip you are going to be hungry. We have an onsite restaurant for your convenience. Famous for its home style cooking and scrumptious cinnamon rolls, Vern’s Place has been a local favorite for over 65 years. Vern’s offers breakfast, lunch and dinner so save your appetite. The restaurant has an outdoor patio, bakery, gift store, tackle shop and a gas station. There is also plenty of room to park your RV or Charter Bus in our over-sized parking lot. After your trip we encourage you to check out the HD photos and videos of your rafting adventure. We take more photos in more locations and offer the best deals available. Our 2,000 square foot retail store has the World’s largest supply of Wanderlust Rafting T-Shirts and hats. We also have changing rooms and restrooms. Wanderlust offers early and late season discounts on our rafting trips. Discounts are limited so please call for details. 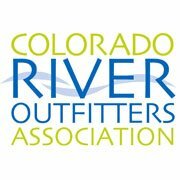 A Wanderlust Adventure is a “Licensed River Outfitter – Issued by Colorado Parks and Wildlife” and permitted through the National Forest Service. Since 1982 we have been managed under the same ownership. Over the years we have seen the rafting industry go through many changes. We have adapted to these changes, raised our standards, improved our company and stayed in business by paying attention to what our guests want. We understand this may be your first raft trip. Whether you choose a mild or wild trip, we try to make it the highlight of your vacation!